Cat Mills reveals her favourite beaches in Sydney for the perfect spot to relax and soak up the sun. To say that there are many things that draw millions of tourists each year to Sydney is an understatement. Sydney is a wildly vivacious city and can offer visitors from far and wide an assortment of high quality restaurants, hip clubs, contemporary theatrical productions and fascinating museums and art galleries. There is something else that draws the hordes, though; the beaches. 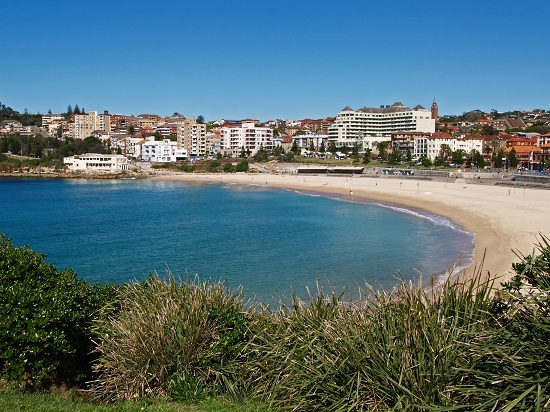 There are well over 100 beaches in Sydney, giving it an excellent beach-to-person ratio. With 70 of those beaches rocking some serious waves, it is no wonder that the city has a reputation for having some of the world’s best surfers. If you’re hitting up this fabulous city, make sure you check out these beaches. This is by far the most well-known beach in Sydney. Bondi (also known as Boondi, the aboriginal word for “water breaking over rocks”) is a region in Sydney with a population of approx. 10,000 people. Bondi and its beach have a rich history and was a hub for immigrants, largely after the Second World War. Bondi was also the scene of a protest against “indecent swimwear” laws in 1907. The popularity of the bikini after WWII further complicated things and inspectors hit the beach to measure swimsuit size and order offenders off the beach. Needless to say, things have relaxed since then and Bondi Beach is a popular hub for surfers, tourists and anyone who loves big waves and fine sand. There are an assortment of cafes a few streets up if you fancy popping in for a pick me up after riding the waves. When I first told my Australian friends that I was going to Sydney and asked them for recommendations, all of them said “Go to Manly Beach. Everyone always goes to Bondi, but Manly is much better”. I might have to agree, though I thought they were both stunning. To get to Manly you can take a ferry from Circular Quay (very close to the Sydney Opera House). The trip itself is lovely and gives you excellent views of the Opera House, city sky scrapers and smaller Oceanside districts. I abashedly have to admit that I thought the small beach next to the ferry terminal was Manly Beach. After sitting there for 20 minutes and watching toddlers giggle and run into the water, I thought that there must be something more. Sure enough, if you walk a few blocks back from the ferry terminal you’ll find Manly. It’s a giant beach with roaring waves; so strong that they had closed the beach to swimmers, though surfers were battling against the current. 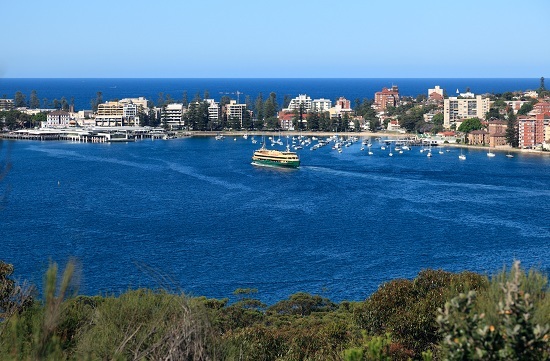 Manly also has an assortment of shops and delicious smelling restaurants nearby if you’re looking for a bite and a beautiful view. Coogee Beach often makes the list for beaches to visit in Sydney and its’ not hard to see why; it’s a beautiful beach which is a touch quieter than Manly and Bondi. I stumbled upon it somewhat accidentally; my friend had recommended swinging by the beach that was closest to her apartment in Randwick. Though the name Coogee is taken from the name Koojah, the aboriginal word for “smelly place” (referring to drying seaweed) I can’t say that I smelled anything save for the fresh sea air. The thing that struck me about Coogee was how clear the water was. The beach is popular for swimming and, despite the cooling autumn weather, there were plenty in bikinis and trunks splashing and diving through the crystal waters. If you’re looking for something a bit more unique and quiet, head along the path to the left of the beach. You will get spectacular views of Coogee and can connect to the hidden gem, Gordon’s Bay; a small cove with fishing boats, large rocks to tan on and an assortment of aquatic species to spy on. Regardless of what brings you to Sydney, make sure you get outside and enjoy some of the best beaches in the world. Follow Cat’s journey around the world to experience the wildest, wickedest, and weirdest festivals known to man on her blog Wicked and Weird Around the World, and you'll also find her on Twitter and Facebook. If you'd like a little beach action of your own, check out our flights to Sydney from just £674. We also have bargain Australia flights to Melbourne, Perth, Brisbane, Adelaide and Cairns so you can discover more of the Australian beaches. 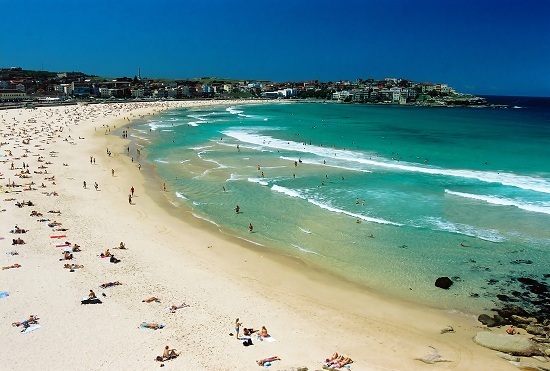 What's your favourite beach in Sydney? Let us know in the comments below!